Whoever thought coloured mascara would be a trend these days? Frankly speaking, I had no clue blue mascara can be so flattering for everyday makeup. I was quite hesitant when I learned Benefit Cosmetics had launched additional variants to They're Real Mascara collection. I have typical Asian eyelashes, that are short and has near zero volume. To make my eyes looks bigger, a super black mascara is a must. 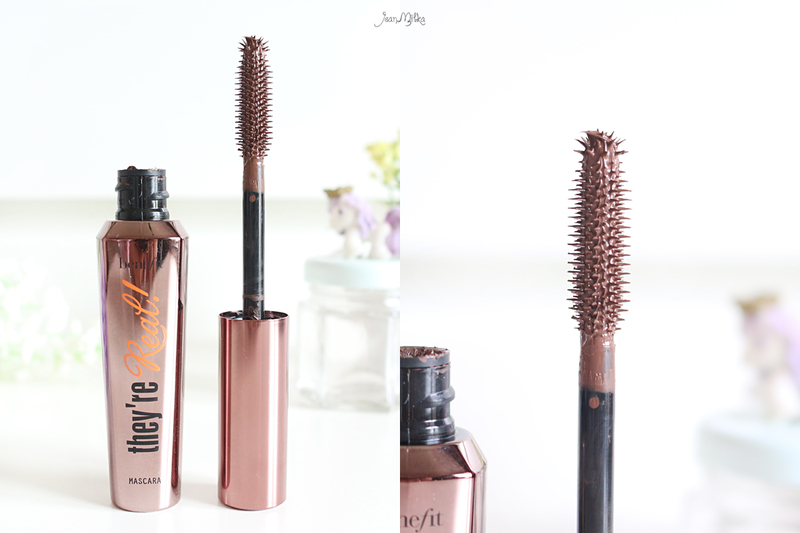 I tried Benefit They're Real Mascara in black before and it's one of my favorite mascara. 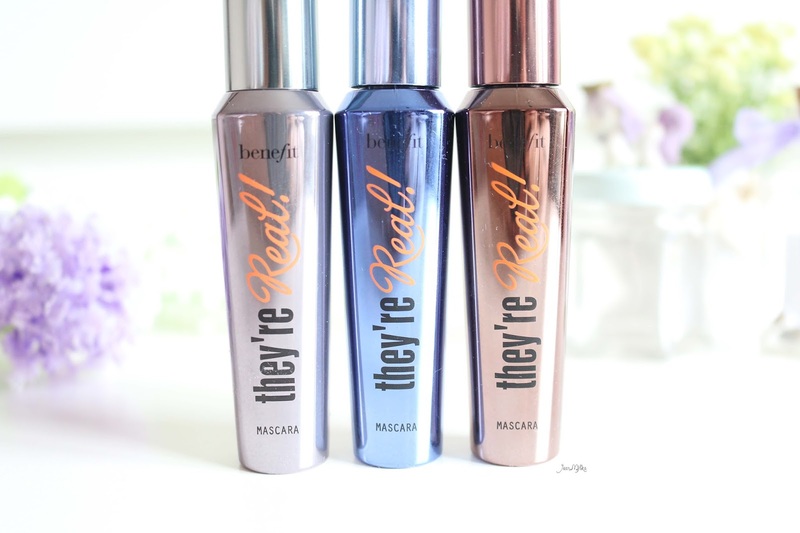 Benefit They're Real Mascara is one of the best selling mascara for a high end makeup brand. 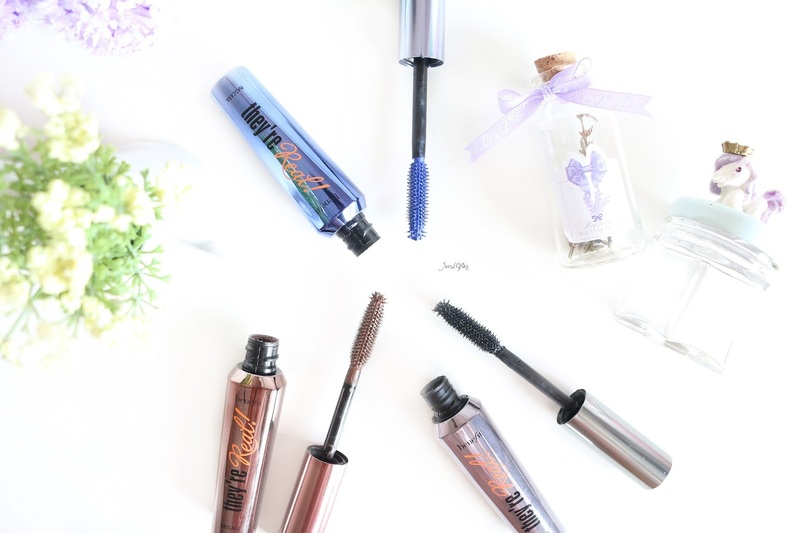 It comes in a metallic tube packaging which has the same colour as the mascara inside : black, blue and brown. The packaging is very nice to look at. The wand is also easy to hold an navigate. They're Real Mascara has a very unique brush shape. It has got a huge brush with a ball-shaped tip. The Bristles are thin and sharp. It takes sometime for me to get used to using this kind of brush. Because the tip of the bristles are sharp, sometimes I accidentally poke my eyes. The ball-shaped tip of this brush was designed for the purpose of applying applying mascara at the end of the lashes and also on the lower lashes. I didn't find the ball-shaped brush adequate enough for the job. When I tried to apply the mascara in vertically using the ball-shaped brush, most of the times I ended up poking my eyes with it. There are also too many liquid mascara stored on the tip so sometimes it can be clumped especially on lower lashes. 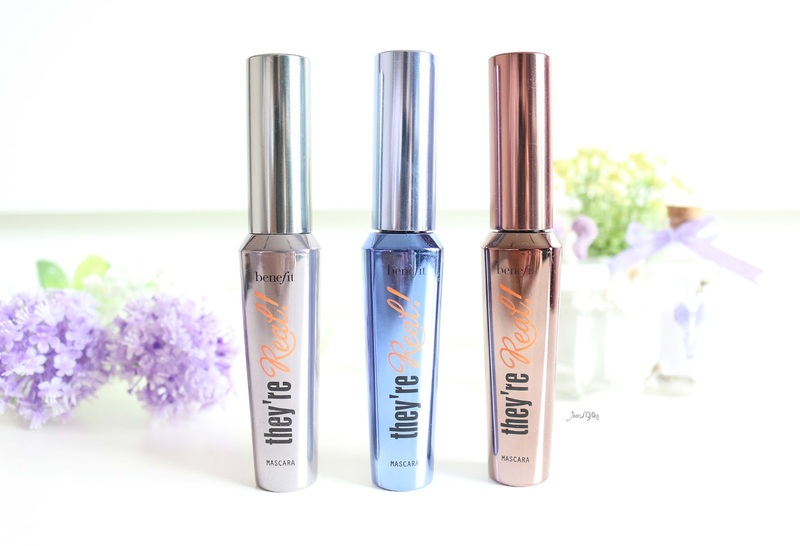 Benefit Cosmetic have 3 colour in their They're Real Mascara Family. There's Beyond Black, Beyond Blue and also Beyond Brown. These items are sold for around IDR 370.000 or 24 USD. 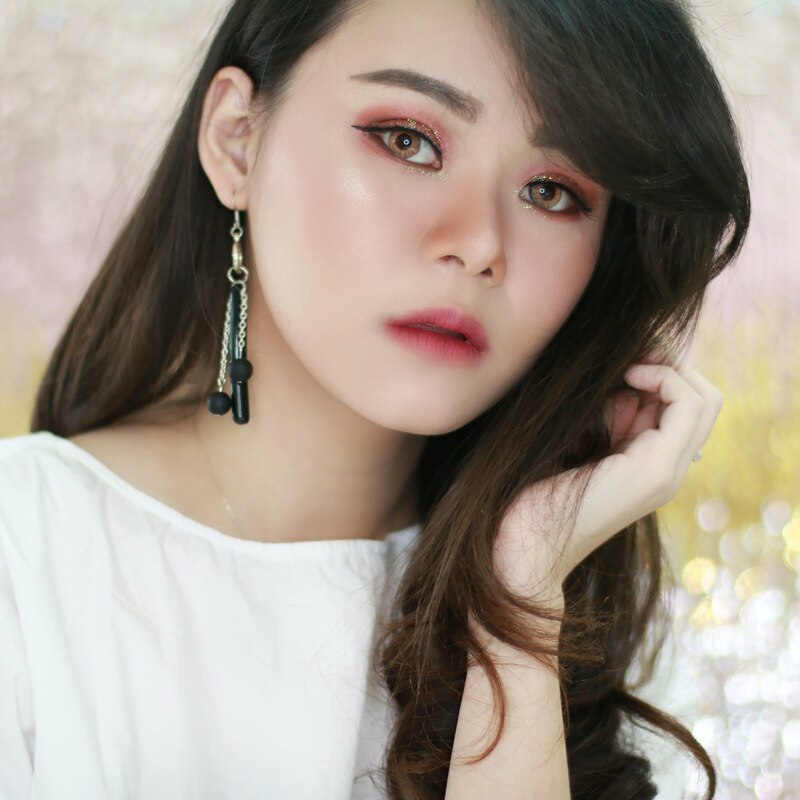 Before I go further with Beyond Blue and Brown review, I'd like to share with you more about the original formula Beyond Black first. 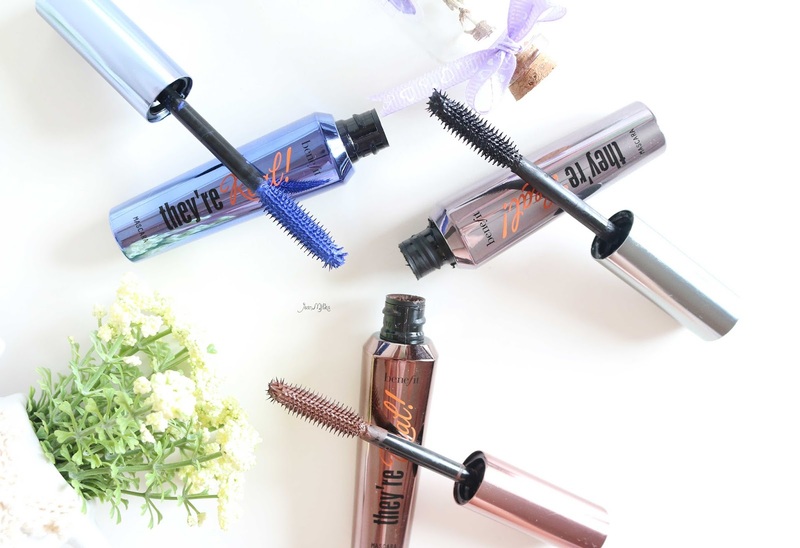 Benefit They're Real mascara has got a fluid-like, watery formula. It doesn't clump and the brush works wonders in dividing my lashes. It's lengthens my lashes and gives it more volume. Benefit claims this mascara will make you look like you're wearing falsies. Well it doesn't come close to making my lashes look like falsies but it's able to hold my curl. Even though it works great, the price, in my opinion is still too pricy. I believe you can still find a drugstore mascara that works almost like They're Real Mascara but much pocket friendly. They're Real Mascara Beyond Black is super black just as how I want my mascara to be. 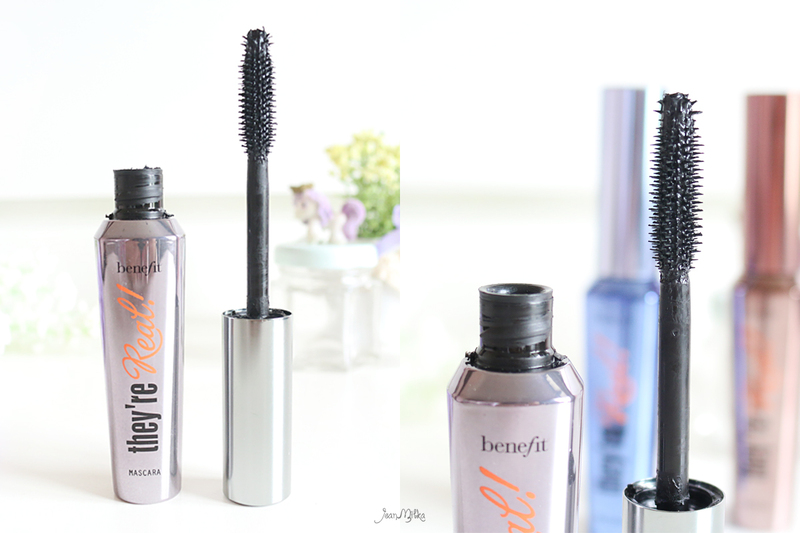 If you're asking which one I prefer more between Benefit They're Real or Roller Lash? I love Roller Lash Mascara slightly better. Benefit Roller Lash gives me more volume while They're Real is an excellent choice for lengthening the lashes. Even though I might not repurchase the Benefit They're Real Mascara in Beyond Black, I am willing to splurge on the Beyond Blue. The blue one is bright and gorgeous but subtle enough to be wear for everyday look. I love how it makes my eyes pop-out. Unlike the Beyond Blue, I don't really like the Beyond Brown. It doesn't look flattering on my eyes and make me look like I have blond lashes. 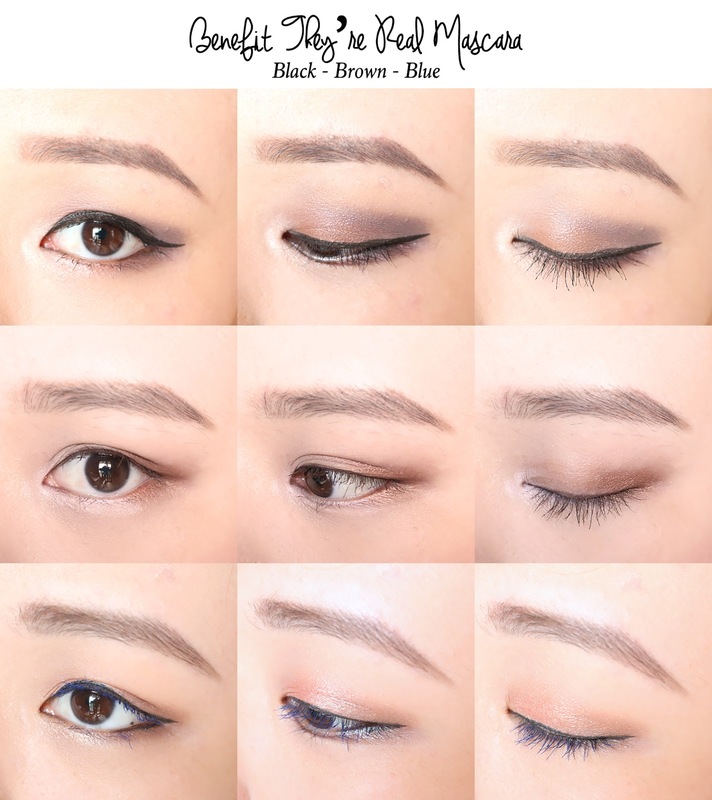 The color is fine for a "No-Makeup-Makeup" look where you need only wear mascara but it's not my type of mascara. I also don't think it's worth the price. This picture bellow showcases all the exciting collection of Benefit Cosmetics They're Real Mascara. From top to bottom there are Black, Brown and Blue. 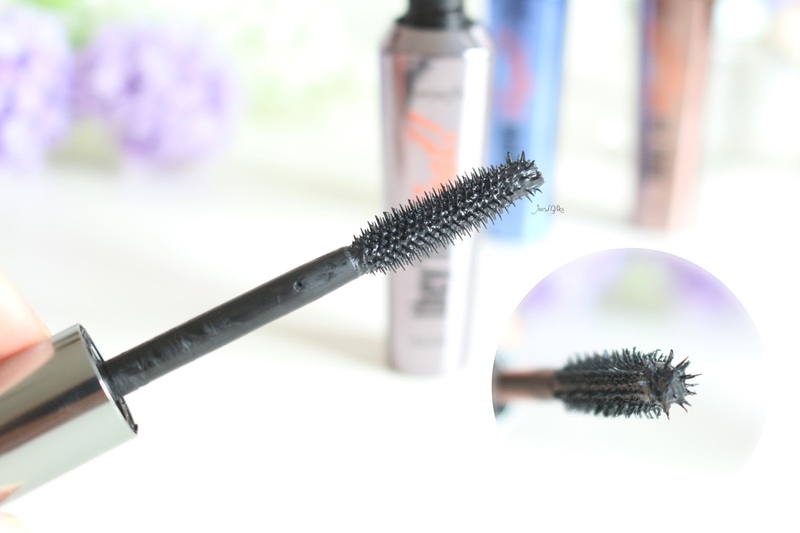 With this mascara I can use 2-3 coat without causing any clumps. My personal favorite is of course the blue one. 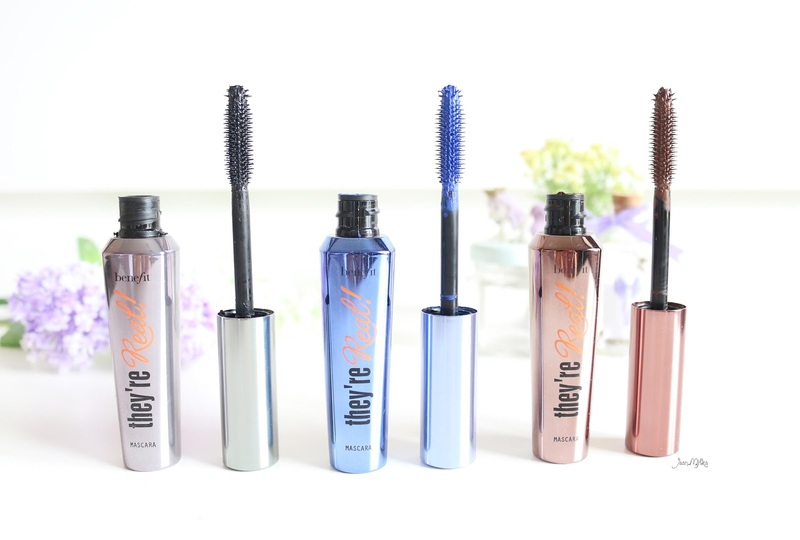 If you have thicker lashes, the They're Real Mascara Beyond Blue will make your eyes pop-out even more. 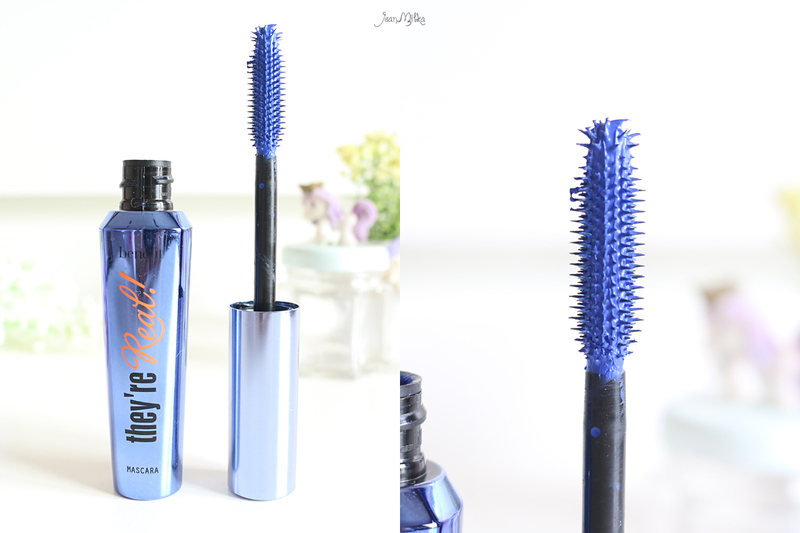 2 komentar on "Review Benefit They're Real Mascara in Beyond Blue, Brown and Black "
Jean, this is by far the BEST review/comparison! I've been looking to try the Benefit They're Real Mascara variations, and I'll be sure to avoid the Beyond Brown. It looks like you didn't even apply anything to begin with. 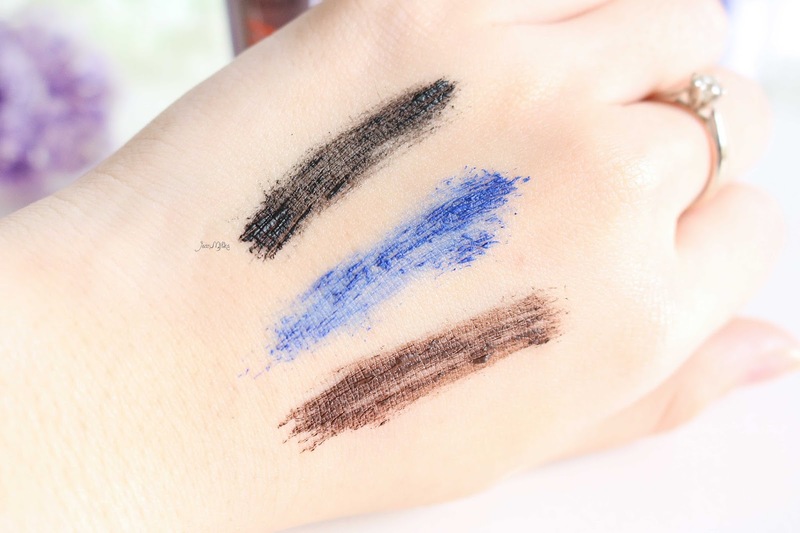 Beyond Black and Beyond Blue are definitely what I'm going to try!